This motor shields is fully compatible with the Arduino UNO with a large current Motor driver module. The circuit module adopts the folding design, can bedirectly connected to the Arduino. The control ports for six, including two road motor speed, direction and brake control. 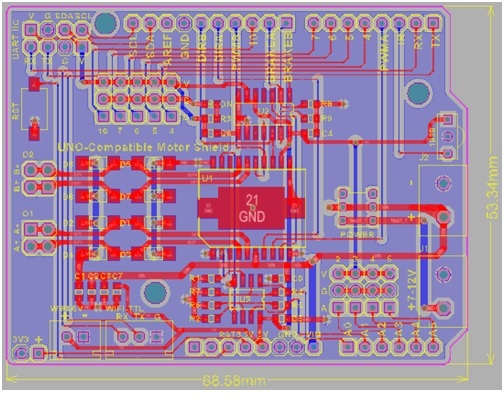 Module uses the stmicro electronics company production of excellent special drive bridge chip L298P high power motor, dc motor can be driven directly 2 road orroad 1 stepper motor, drive current biggest can reach 2 a. 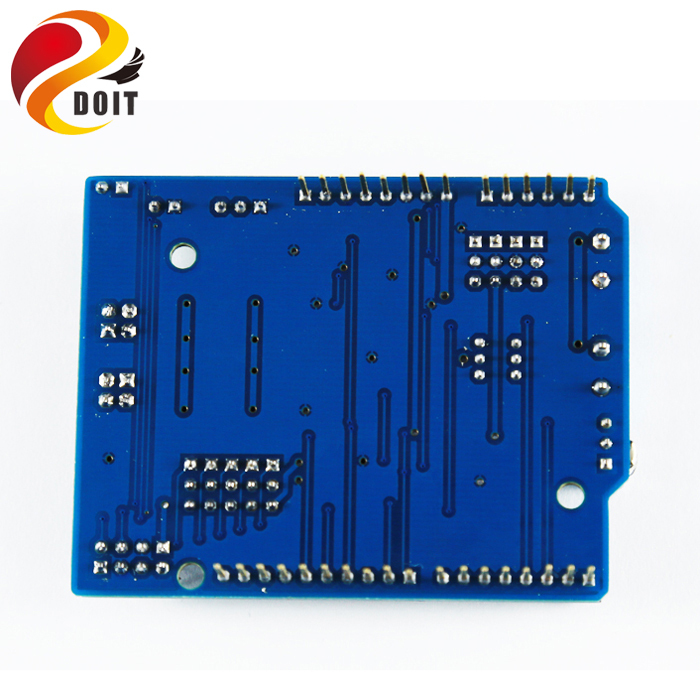 Circuit diagram layout is reasonable, SMD encapsulation, installation is very convenient, and the output end and high-speed schottky diode protection. Module is particularly increased HX1838 infrared sensor, can accept remote infrared remote control signals, thus more easily remote control electric motor. 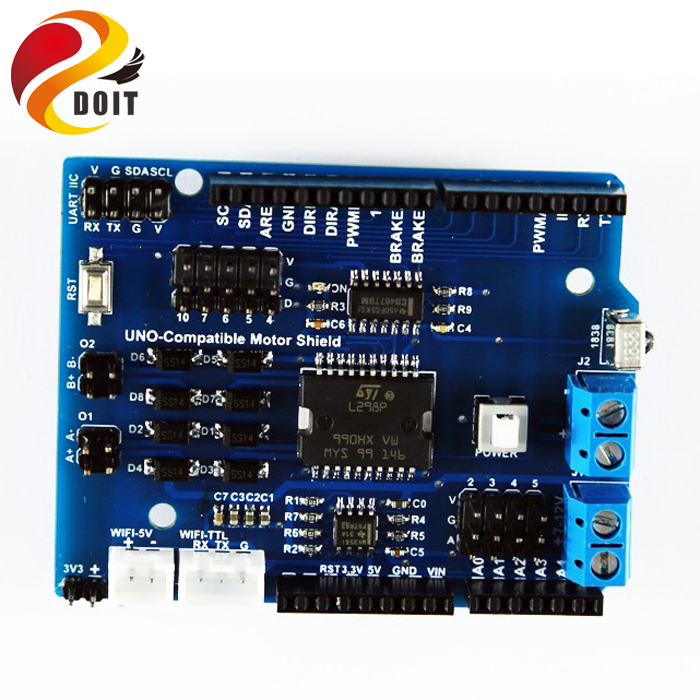 Module lead to Power at the same time, IIC, UART, AIO, DIO, WiFi interface, such asmultiple pin, can easily let users access communication module, sensor and other peripheral equipment. So the module and extended board, motor driver board, and other functions. Module uses the humanized design, use the power button switch, convenient for the user to plug free debugging. 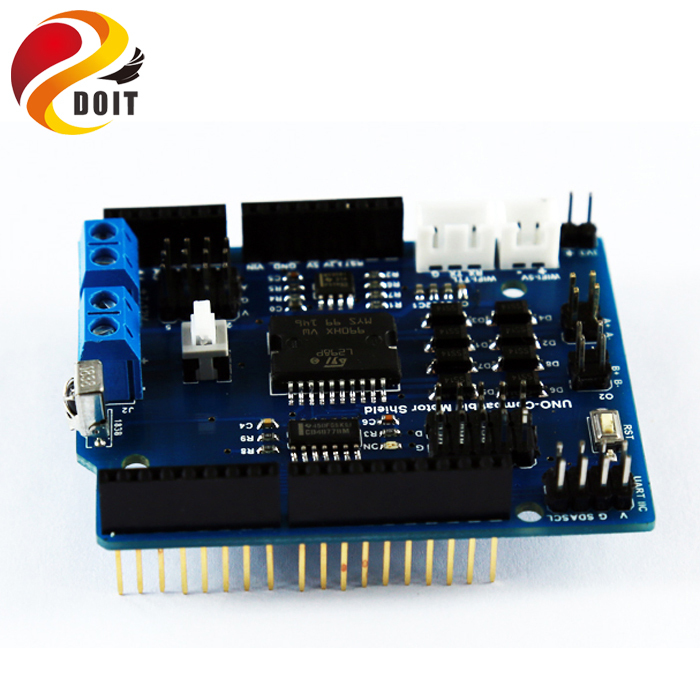 Each motor driver module interface provides two joint, can drive 2 or 4 road car.